PSG Hospitals started the department of Ear, Nose & Throat in 1989. Today, the six specialists of the unit, led by Dr Palaninathan, Professor and Head of the Department, continue the good work done by their predecessors like Professor Ramalingam and Professor Dey. The department started training postgraduate students in 2011 and admits two students every year, one each for the degree and diploma course. At the outpatient clinic, the department offers services such as diagnostic nasal endoscopy to detect nasal and sinus disorders, video laryngoscopy to view the larynx, and flexible nasopharyngoscopy to examine the nose, the pharynx, and the larynx. To execute these procedures, the department is equipped with the latest Leica operating microscope, nasal endoscopes from Germany, cameras, laryngoscopes, bronchoscopes and oesophagoscopes. The faculty are experts in microscopic ear surgery, endoscopic sinus surgery and ENT cancer surgery. To do extensive nasal surgeries, they use Karl Storz endoscopes. ENT surgeries to remove tonsils and adenoids and surgical procedures to relieve nasal obstructions are regularly performed by the department. Treatment of sinusitis and removal of nasal polyps using functional endoscopic sinus surgery, correction of excessive tearing and watery eyes by reconnecting tear drainage pathways to the inside of the nose through minimally invasive techniques, and endoscopic repair of cerebrospinal fluid leaks and endoscopic pituitary surgery are performed. Minor procedures such as ear irrigation and ear piercing have become part of the department’s daily routine. Rigid bronchoscopy and rigid oesophagoscopy to remove foreign bodies are also performed regularly. Microlaryngeal surgery to correct voice disorders and problems in the voice box are often done by specialists in the department. Major operations as part of cancer treatment such as removal of larynx (voice box) and lymph nodes are also offered by the unit. The department’s speech pathology and audiology unit is run by an experienced audiologist. It uses brainstem evoked response audiometry to assess hearing loss and deafness. Rehabilitation services to solve problems such as stammering and sudden loss of speech due to accidents or stroke are also available at the unit along with counselling. PSG is one of the few centers where cochlear implant surgeries are being done in the country for deafness. 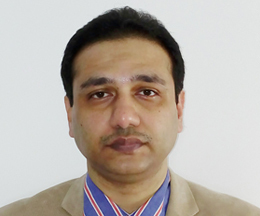 Dr Anand Consultant in the department is specially trained to carryout these surgeries. Recently a speciality clinic has been started for patients with giddiness. It offers comprehensive, diagnostic, rehabilitative and surgical care for these patients. Annual Conference and CME – QUAESTIO ENT- An academic feast directed towards PG training is conducted every January.